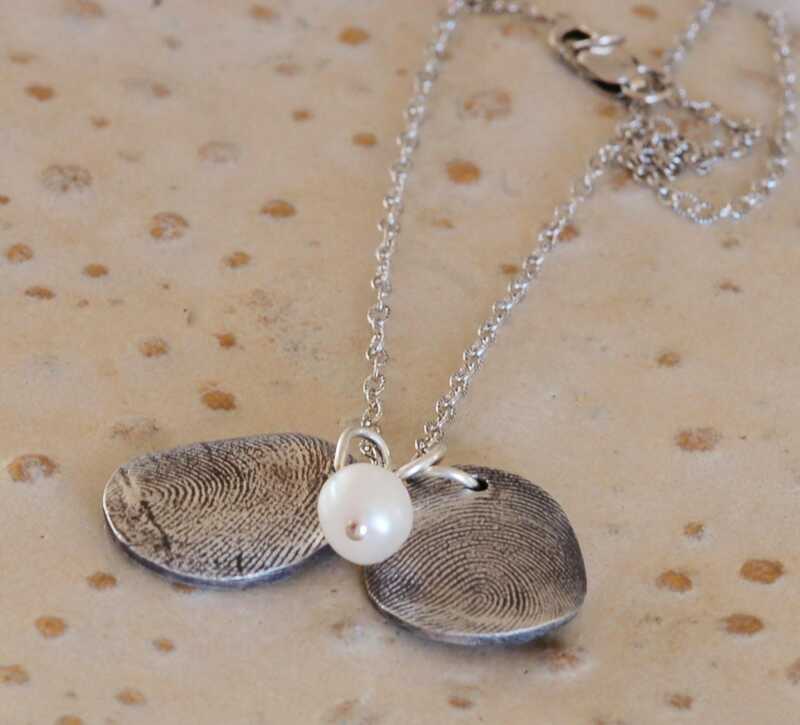 This continues to be a popular gift for moms, siblings, grandma's, aunts and loved ones. 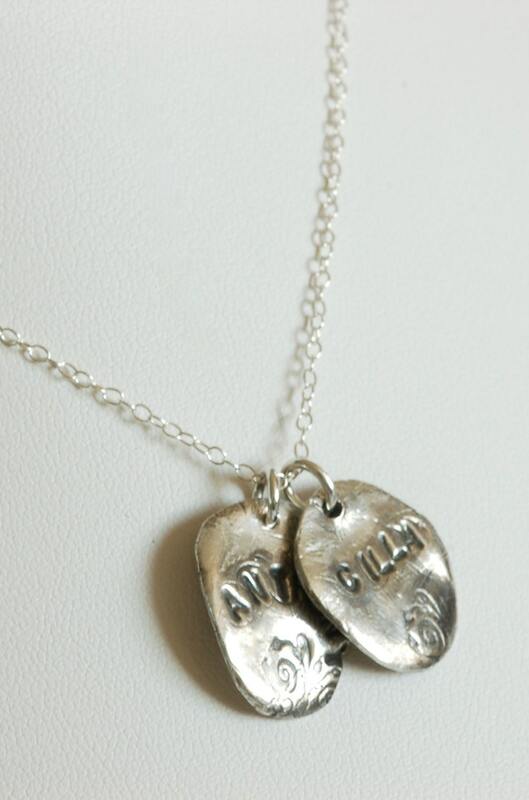 2 custom thumbprint charms with names stamped on the back of each charm. 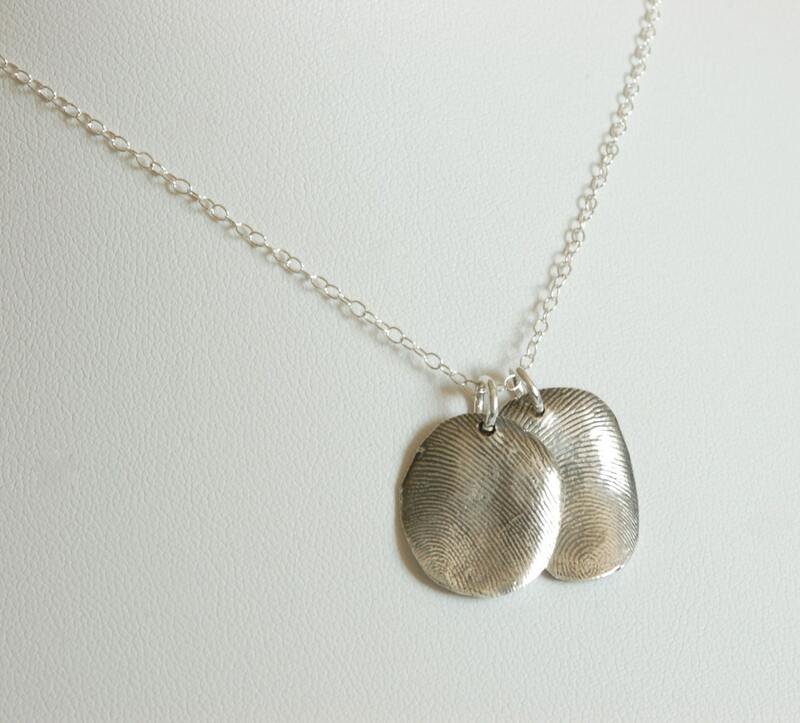 Made from fine silver (.999). A life long keepsake. 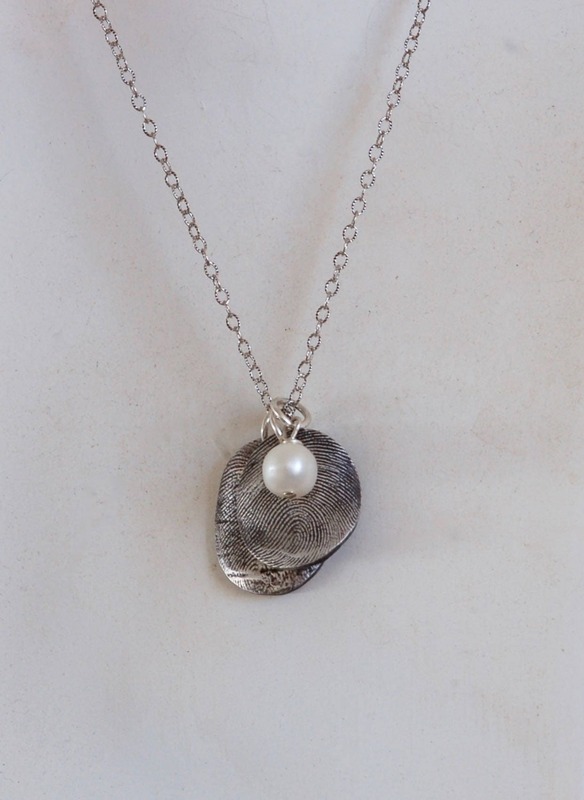 This one features a fresh water pearl dangle. Choose 16, 18 or 20 inch chain. 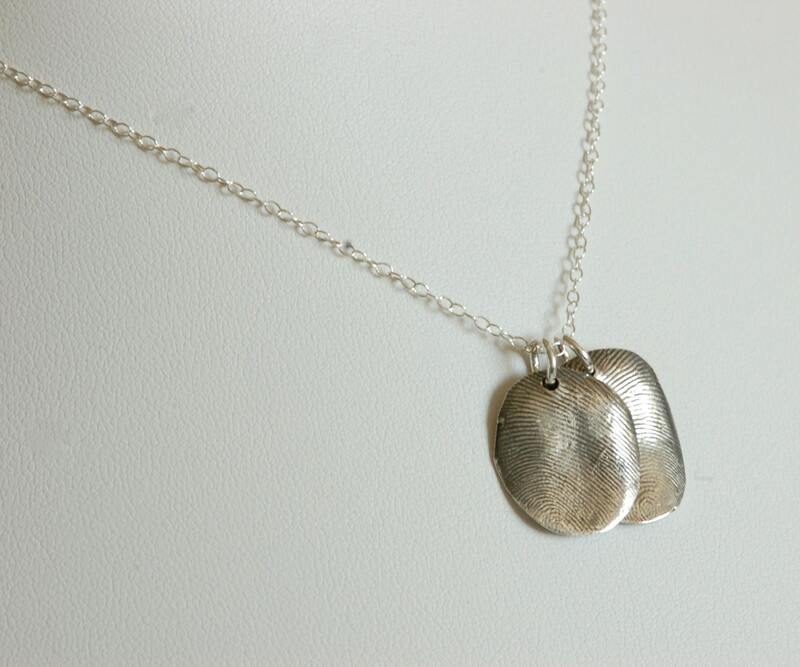 The chain is sterling silver. Convo me if you would like an additional length. If you choose to do one or two in gold..it is 22k gold. Once you place the order, I will send you the kit to make the impressions, then you mail it back to me and I will make the charms.